Are you ready for some public relations pizzazz? Then please enjoy the following case studies that demonstrate how strategic, well-written, creative public relations and corporate communications help companies increase their performance and profitability. Greater clarity in messaging can do wonders. Ultimately, it’s all about results and helping companies grow. Challenge: Determine how to tell the story about a new lie detection technology throughout all of the client’s communications. Solution: Interviewed CEO, conducted market research (SWOT analysis, competitive analysis, news media audit, etc.). Result: Copy for the new company website, press kit, marketing communications, social media channels (including scripts for YouTube videos), trade show booth signage and more was completed in time for worldwide product launch in April 2014 in Mexico City. 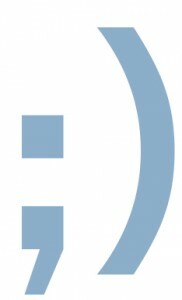 Synopsis: This was an opportunity to establish the branding for a disruptive lie detection technology called EyeDetect®. EyeDetect was the first new, viable lie detection technology to come to market since the first modern-day polygraph was invented by John Augustus Larson in 1921. The product, currently marketed in Spanish Latin America, is quickly gaining momentum. Solution: Review all communications and rewrite for clarity. Result: Company’s professionalism and credibility increased; customers’ understanding and appreciation for the brand increased. 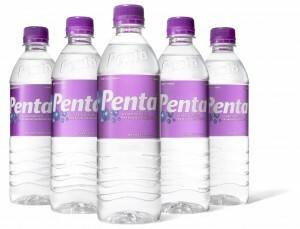 A sampling of the nearly 100 celebrity endorsements secured for Penta Water. Challenge: Relatively unknown brand with a limited budget. Solution: Secure high-profile endorsements and product placements. Result: Word-of-mouth and brand recognition quickly increased. Synopsis: Successfully negotiated and managed nearly 100 endorsement deals with celebrities, Olympians and professional athletes — including musician Sting, actress Farrah Fawcett, talk show host Ellen DeGeneres; Olympic swimmers Amanda Beard, Jason Lezak and Aaron Piersol; NFL players Drew Brees and Carson Palmer; as well as numerous NBA and MLB players. [NOTE: It’s safe to assume most if not all of these endorsements of the product have since expired.] Also placed the product on NBC’s “The Biggest Loser,” ABC Family’s “Wildfire,” and UPN’s “Girlfriends.” In addition, I also established a health and wellness board comprised of many notable health expert. These steps enhanced the brand’s credibility and created many positive news stories, including in USA Today, In Style magazine and on FOX and CNN national news. A sampling of some of the TV interviews secured for job-networking expert Molly Wendell. Challenge: Increase awareness of organization and its job-networking groups nationwide. Solution: Brand president of company as the premier job-networking expert and pitch to news outlets. Result: 30 news media interviews in 10 months. Synopsis: By capitalizing on the current trend of high unemployment (at the time), Executives Network President Molly Wendell and author of “The New Job Search” was pitched to news outlets nationwide as the job-networking expert. Part of the pitch boldly declared to “fire the online job boards” (Monster.com, etc.) because they were a waste of time. Interviews were secured with TV, radio and print news outlets in New York, Chicago, Los Angeles, Denver, and many other cities. Solution: Develop a very attention-getting pitch letter for radio talk shows. Result: Secured 10-15 radio talk show interviews monthly. Synopsis: The Jefferson Institute sponsored five-day “boot camps” (seminars) for entrepreneurs. 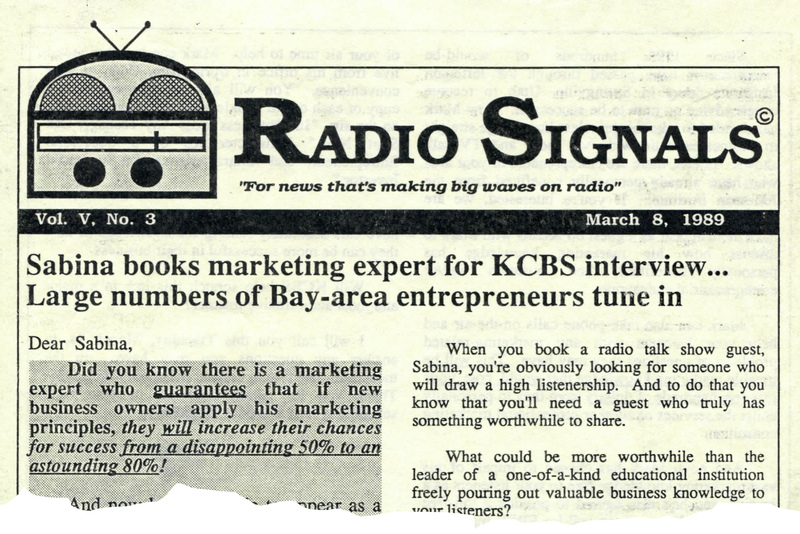 To help promote these intensive seminars, the strategy was to secure radio interviews for the president of the company. 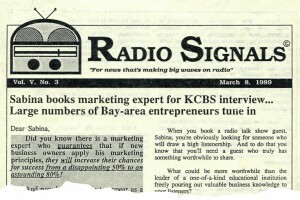 In knowing how difficult it is to get the attention of the news media, I devised a highly attention-getting “pitch newsletter” titled “Radio Signals.” The lead “story” in this newsletter was how the particular radio station being pitched booked this entrepreneurial/business expert who imparted valuable tips for the station’s listeners. Nearly every radio station remembered receiving this pitch, which resulted in 10-15 bookings every month. This so impressed the president of the company that he offered me a full-time position (which I accepted). Challenge: Create video content for client and promote on new YouTube channel. 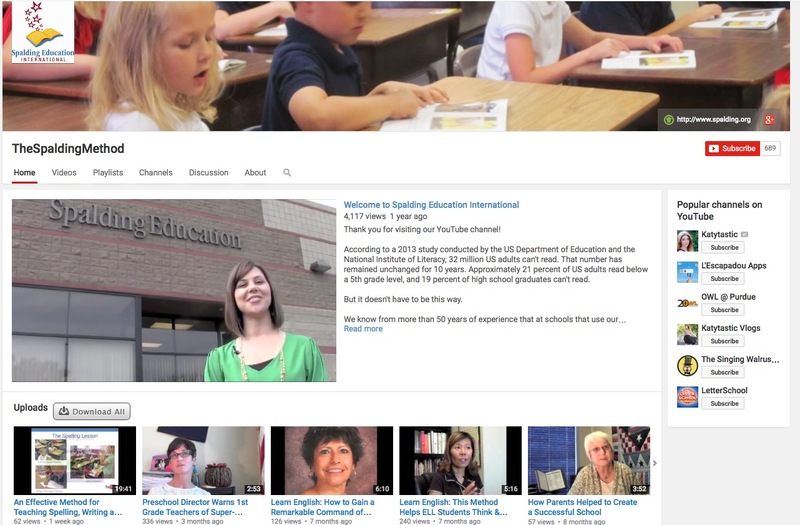 Solution: Conduct video interviews of educators using the K-6 curriculum. Result: Nearly 170,000 video views and 700 subscribers in just over three years. Synopsis: Spalding had never previously worked with a public relations firm — even though they were established in 1986. Previously, they relied only on word-of-mouth to spread they word about their highly effective language arts curriculum for teaching spelling, writing and reading. The strategy was to put the customers (i.e., teachers, principals and tutors) trained in The Spalding Method front and center via a series of videos. Let them tell the story about how effective the curriculum is for teaching every student to read after just a few months in kindergarten. Approximately 30 videos were produced, and with some 170,000 video views to day, the strategy undoubtedly has paid off. 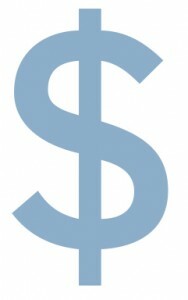 Challenge: Help establish and defend first national brand in energy auditing. Solution: Effectively tell company’s story to franchisees and news outlets. Result: All company’s communications were unified; mission of company clearly articulated on national and local levels. Synopsis: Pro Energy Consultants has quickly grown from approximately 20 to 60 franchises nationwide during my time managing all the public relations and corporate communications for the company. To manage this growth and keep everyone speaking with “one voice,” a public relations plan was created. Part of the plan included defining Pro Energy’s three core messages, which focused on establishing the company as the nation’s leading energy audit expert. A monthly newsletter and regular online training sessions were provided to franchisees. About 10-15 media markets were pitched monthly, keeping the brand actively in front of news outlets in cities nationwide where franchisees were located. After previously securing zero news placements with its former PR agency, our PR efforts netted more than 50 media hits. Challenge: Magazine’s perceived value was very low. Synopsis: This magazine was poorly named and had atrocious graphic design. I renamed the magazine “Utah Progress” and hired a graphic designer to completely revamp the design and layout. Current subscribers raved over the new look. New subscriptions increased, advertising revenues increased, and the magazine quickly became the No. 1 commercial real estate magazine in the Salt Lake City market. Challenge: Website wasn’t news media friendly. Solution: Create a newsroom section for website. Result: Website’s newsroom became 2nd most-visited website section. Synopsis: Members of the news media had nowhere to call home on the Gemological Institute of America’s (GIA) website. During a complete overhaul of GIA’s website, I recommended a newsroom be added. GIA agreed, and I was tasked with conceptualizing and writing all the content, and then keeping the content updated. GIA’s media-friendly newsroom successfully communicated the non-profit, educational mission of this institute and provided all the pertinent information and resources necessary — including news releases, fact sheets, ready-to-use educational articles, and an extensive downloadable library of images. Supported growth of a private health and wellness company from $65 million to $200 million in two years by providing internal and external communications, managing crisis communications, managing various publications, coining company’s tagline, and more. Increased Penta Water’s consumer newsletter subscriptions from 2,500 to 7,000 after just three issues. 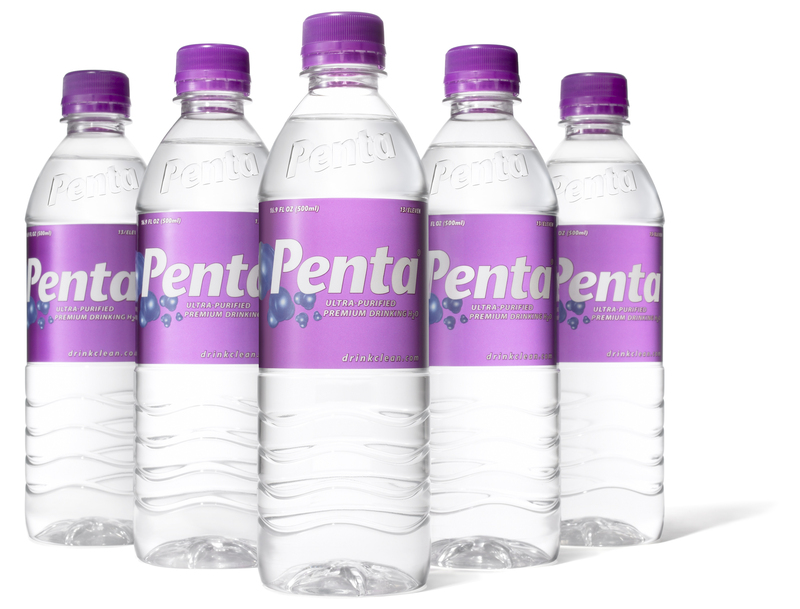 Through promotional initiatives and content revisions, improved Penta Water’s website ranking from approximately 261,000 to as high as 199,000 within two months.